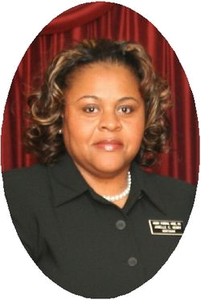 Janelle C. Henry Buck, daughter of Lorraine T. Henry and the late Charles J. Henry, is President and owner of Henry Funeral Home, PA.
Born in Dorchester County, Maryland, she is a 1981 graduate of Cambridge-South Dorchester High School; 1985 graduate of Lincoln University (Lincoln University, PA) – BA in Business Administration; and 1989 graduate of Catonsville Community College (Catonsville, MD) – AA in Mortuary Science. 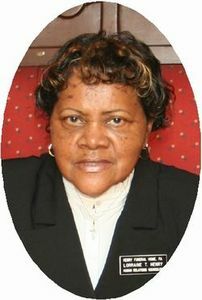 In addition to her professional involvement, she is an active member of St. Luke United Methodist Church, NAACP membership,member of the Chesapeake College Foundation Board,Dorchester County Chamber of Commerce Board of Directors, member of Delta Sigma Theta Sorority, Inc. (a public-service sorority),member of Fellowship Chapter #58,Order of the Eastern Star and a member of Abulahab Court #189, Daughters of Isis to name a few. She has been the driving force behind the family based business for over a decade. She has provided countless families in the community and the surrounding areas with dignified services during the loss of their loved ones. Lorraine T. Henry, wife of the late Charles J. Henry, is Owner, Secretary and Treasurer of Henry Funeral Home, PA.
Born and raised in Dorchester County, Maryland, she attended the public schools of Dorchester County and was a 1954 graduate of Mace’s Lane High School. After completing her secondary education, she was awarded the Bachelor of Science Degree by Morgan State College (now-known as Morgan State University), the Master’s Degree in Education at Salisbury State University. In her 37 year career in education, she was Teacher of the Year (1984) awarded by Morgan State University, National Certified Counselor (Certification). 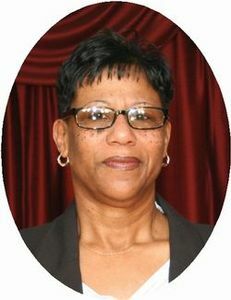 As educator and counselor, she retired from the Dorchester County School System in 1997. Before retiring she was involved with the Maryland School Counselors Association, National Board of Certified Counselors, National Education Association and the Dorchester Educators. In June 2001, she was appointed a 5 year term to the Dorchester County Board of Education by Governor Glendening and currently serving as Vice President. She was recently re-elected to the Dorchester County Board of Education for another 4 year term. Dannie is the son of the late Merrill and Savanna Purnell Morris. He has very strong family ties in Berlin and Hebron, Maryland. 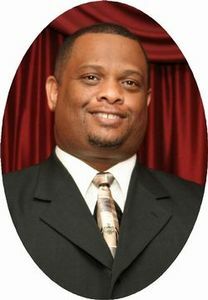 Dannie began his career in funeral service in 1986. He received his A.A. degree in Mortuary Science from the Community College of Baltimore County and became a licensed Mortician in 1995. Dannie also holds a B.S. degree in Elementary Special Education, and a Masters Degree in Adult Education and Training from the University of Phoenix. He is pursing his doctoral studies in Organizational Leadership with an Emphasis in Higher Educatioanl Leadership from Grand Canyon University. Dannie resides in Salisbury where he is a member of the Tabernacle Of Prayer Church and also attends services at the Greater Bethel COGIC in Delmar, DE, as well as several community organizations such as the NAACP. Dannie is also an active member of various funeral service organizations as well. 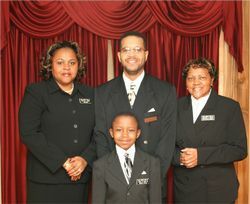 He is ready to serve your family in a dignified and professional manner during your time of need.